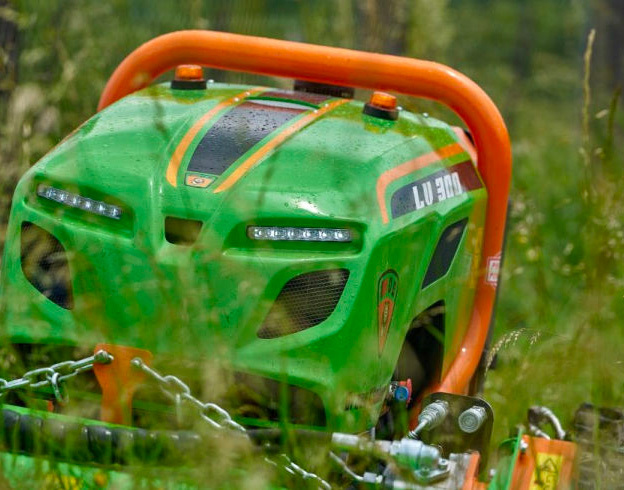 Caffini’s gradual expansion on overseas markets forced the company to make improvements in processes linked to management of after-sales support services and in particular, the spare parts service. As in many other companies, at Caffini s.p.a. too over recent years the number of clients using web services has grown considerably and users demand increasingly powerful and efficient applications they can use not only in the office, but away from it too. 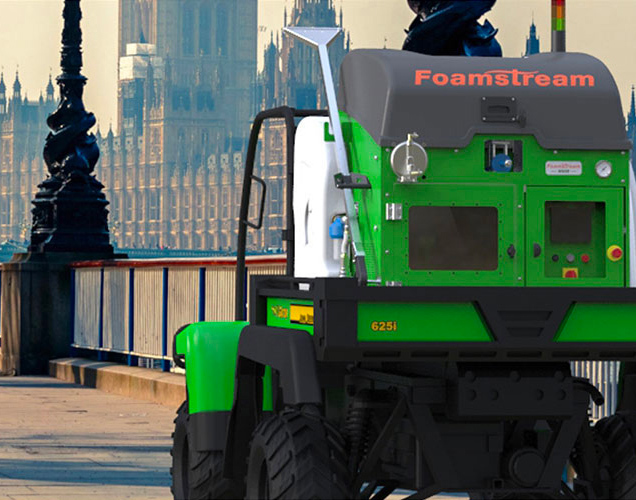 The main objective for Caffini was to provide clients with an assistance and spare parts service available 24 hours a day, whilst at the same time keeping within budget limitations and strict safety requisites. 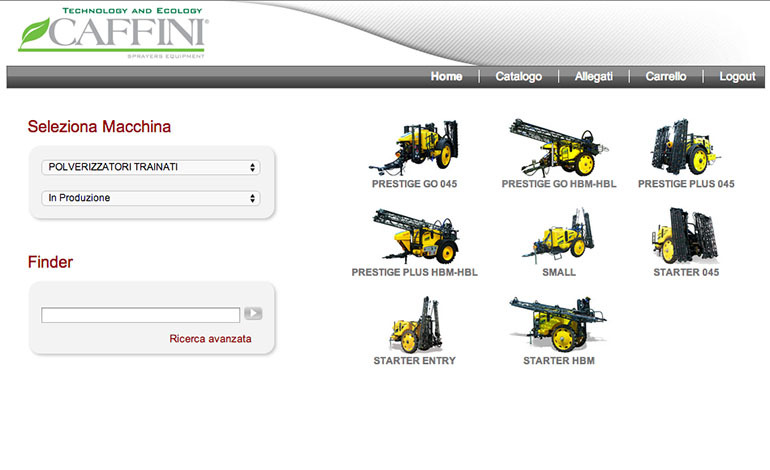 Caffini s.p.a. chose Interactive SPares software in Cloud mode. The company now offers a complete after-sales support service that includes electronic spare parts catalogues, e-commerce management of spare parts, a download area for every single machine and centralised administration of web users. 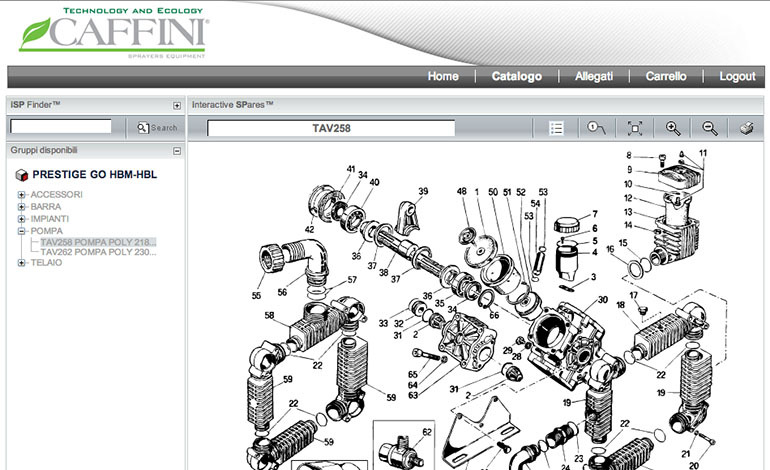 A week after publication of the portal, 99% of the spare parts catalogues had been uploaded online thanks to the PDF importing service and publication of catalogues included in the Cloud mode. 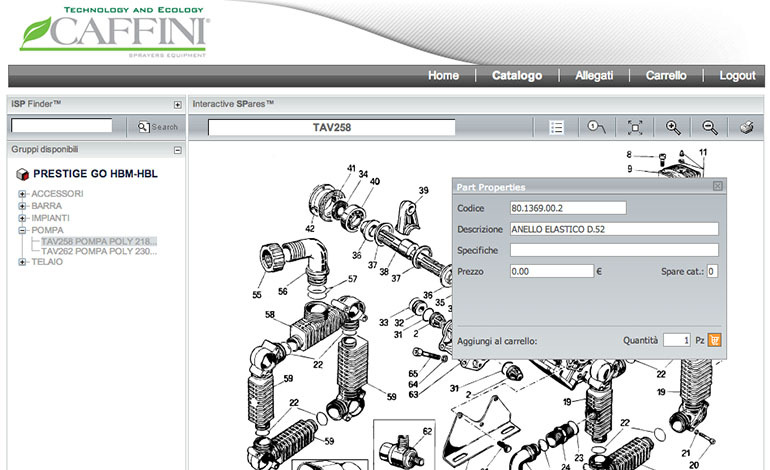 Through this project, Caffini s.p.a. has entrusted the task of centralising administration of spare parts catalogues and sharing them worldwide with the after-sales support network to the Interactive SPares platform. 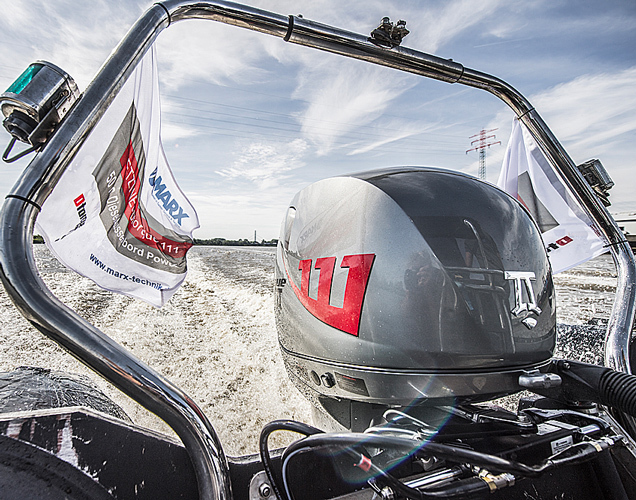 Information is now concentrated in a single system, reducing catalogue management costs and simplifying the purchase of spare parts for clients and service centres.